I wanted to see how my single-poll model looks when I apply it to the history of a race, and selected the Florida Republican Senate primary between former Speaker Marco Rubio and Governor Charlie Crist. In hindsight, this wasn’t the best one to choose. The polls themselves show a dramatic change in lead, according to the history of polls found by Real Clear Politics. 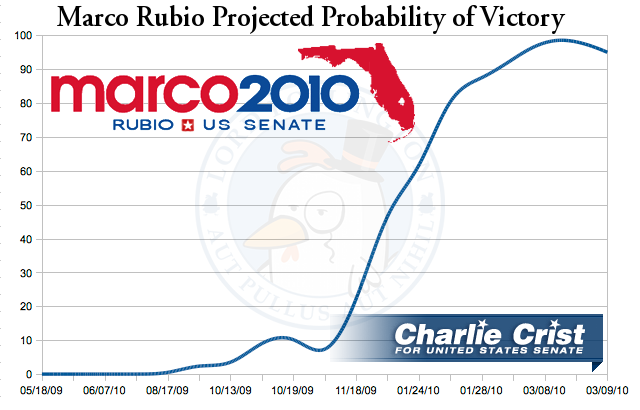 Crist is up big, then Rubio is up big, with very little time in between. The only shock would be if my model failed to follow suit.